The Department of Health is placing thousands of jobs on the line by not paying their suppliers on time, with debts in excess of 30 days amounting to close on R1-billion rand by the middle of the financial year. In response to a parliamentary question, Health MEC, Helen Sauls-August confirmed that the Department was in arrears by R929,9-million in September last year. This is money that is owed to suppliers who have delivered services to the Department, and who have incurred expenses that they are now forced to cover while they wait for payment. Unfortunately, this is nothing new for the Department of Health, which has got into the habit of rolling funds owed to suppliers over to the new financial year, with suppliers forced to wait for payment until the new budget is allocated. This has a major impact on the Department’s long-term sustainability, as funds earmarked for projects in the new financial year have to be diverted to service existing debt. Suppliers are also hesitant to do work with the Department, and those who do, inflate their costs to compensate for the lengthy delays. The worst affected are the SMMEs, who face the very real possibility of closure, as the lack of payment destroys their cash flow. What is also extremely disconcerting is the huge discrepancy between what the Department has reported as their outstanding payments, compared to what the Provincial Treasury has reported for the province over the same time frame. Treasury reported that the total amount owed to suppliers in September last year was R500-million, how then is it possible that the Department of Health, on its own, is nearly double that? Clearly there are problems with the financial reporting from departments, which is extremely worrying. I will be following up with Finance MEC, Oscar Mabuyane, and request an accurate and audited breakdown of all payables by the Department of Health in September last year, in order to establish the correct figures, as well as an explanation regarding the vastly differing reports. 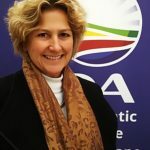 In the DA – led Western Cape, payments by government departments are effected within thirty days, so that small business can thrive and even expand. This leads to the creation of more jobs. More jobs were created in the Western Cape last year than anywhere else in the country. In May, voters will take to the polls to vote for the change that is necessary to nurture small businesses and SMME’s, and to create jobs. Only the DA can achieve this.